.....by Dollys are tailor made and styled to suit your individual requirements. 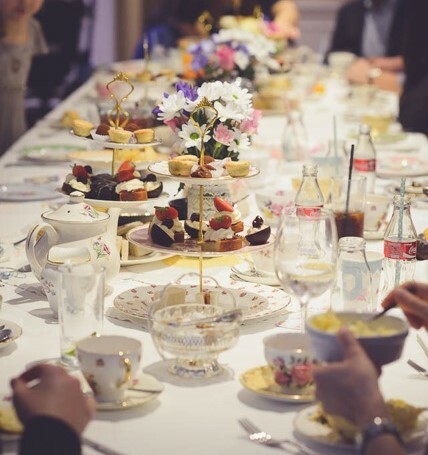 We pride ourselves on giving a personalised service and will add a touch of vintage tea party charm and effortless style by decorating your venue or home with our eclectic mix of vintage items. After the event we can come back to collect the next day, All we ask is that crockery, china, cutlery and glassware are washed up in warm, soapy water carefully by hand, (due to their age and delicate nature, we ask that you please don't use a dishwasher!) For an additional charge we can stay to serve, clear away and pop on our marigolds to do it for you (just like your very own vintage fairies!). We custom each of our services to your needs, therefore prices will vary. Once you have contacted us with your requirements we will send you a personalised quotation and from this point we suggest arranging an initial consultation at Dollys showroom to discuss the details of your soiree. 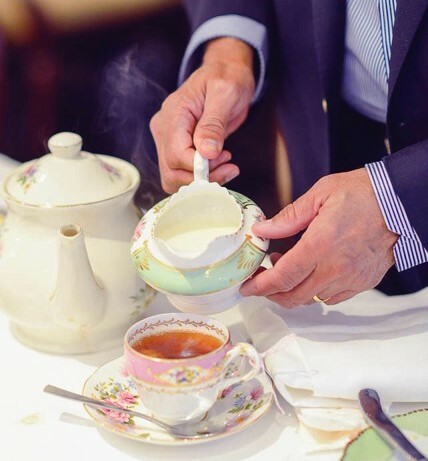 All vintage tea party menus come with organic milk, sugar and tea selection. We can also supply crisps, battenburg, date & walnut, ginger, fruit or lemon poundcakes, 5" or 10" sponge cakes, shortbread, or a finger-buffet to add to your package. Prices on request. Choose and order your china items individually, (we will help you decide the pieces best suited to your needs and budget at Dollys showroom) then transport, and style yourselves. Choose and order your items then let us deliver and style for you. Dollys is happy for you to return the hire yourselves after the celebrations. Choose what you require and let us do all the work for you, by transporting, styling, and clearing away at ax agreed time. Additional charges may incur. Over the past 5 years we have had the pleasure of working alongside many other outside catering companies for weddings and larger events and we would love to collaborate with your chosen suppliers or venue. We also have recommended suppliers who are able to match the service, quality and level of presentation that we have always prided ourselves on and I am happy to offer their details to you upon request. These are caterers with whom we have worked along side on many events, meaning you can be assured everything will run tickity boo! Rest at ease that whoever you choose to provide your culinary delights, I will liaise with them throughout the process to give guidance on the tableware that may be needed, how to style it and give direction on the etiquette of a 'proper vintage tea'. What a deal! 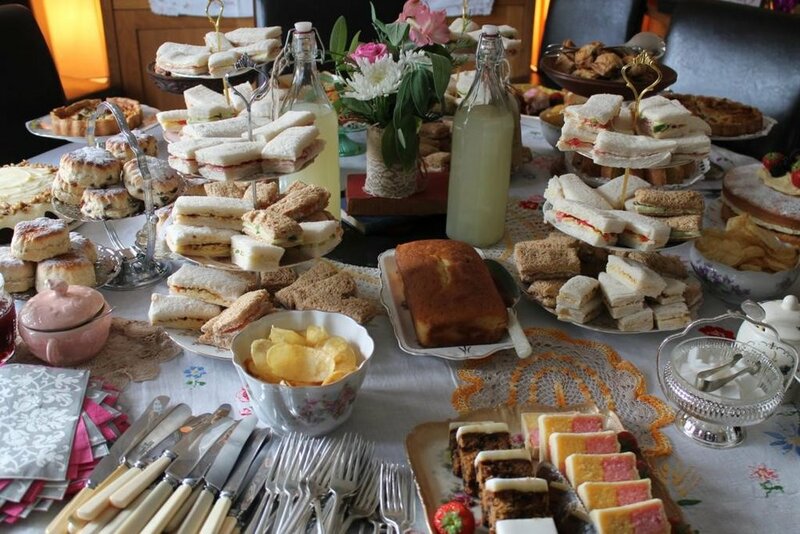 - two professionals for the price of one and being sensitive to your budget I will ensure that between the three of us we will create the perfect vintage tea party you envisage. With Dollys extensive collection we can most definitely help with all types of service, as well as any additional styling accessories to make your soiree complete. We may also be able to help with any of your preliminary decision making and other aspects of the day you are arranging. If a collaboration is something you are interested in, we would love to help you create a day to remember. Dollys collection is vast and full of styling inspiration, I know you will love it. We not only specialise in enchanting vintage table-ware, but our photo-booth, vintage props, candy table and lawn games incredibly popular and give any event a truly timeless elegance. It's amazing how our collection can transform any venue and make a celebration one your guests will always remember. We are also able to help with the planning and coordination of your event, ensuring all elements will come together with highest level of precision and service.